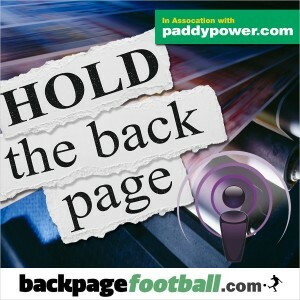 It’s every BackPageFootball reader’s favourite time of the week, and Hold the BackPage returns for episode 16. Joining Ciaran O’Raghallaigh in the studio is Paddy Power’s Chris McWilliams, Philip Quinn of the Daily Mail joins the lads by phone, and there’s the latest edition of our ever popular TipOff! competition.